Igbinedion as a Benin family name is now a household word. It has become synonymous with Aviation, Industry, Education, Finance, Medical Care and Rural Development at local, national and international levels. 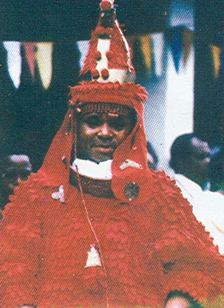 The man who has made this possible in Africa is Sir, Chief Gabriel Osawaru Igbinedion, the Esama of Benin Kingdom. 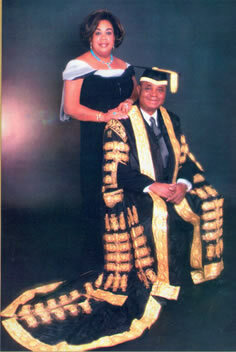 At 60, Chief Osawaru Igbinedion has attained great heights in life reminiscent of great achievers. He is a philanthropist and a humanist of national dimensions and an industrialist of international fame. Born in Okada in the present Ovia North East Local Government Area of Edo State, Nigeria to a humble family, Chief Osawaru Igbinedion by sheer hard work coupled with God's given blessing rose to prominence of remarkable proportions. 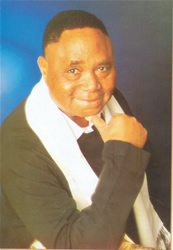 Exposing the life and times of Chief Igbinedion constitutes a challenge. What is even more interesting about ChiefIgbinedion is his life as a Pioneer with all the attending difficulties consistent with such efforts. But how was he able to do it? What has been his guiding principles and philosophy? What have been the sources of his strength and how has he been able to overcome the obstacles along his path to greatness? 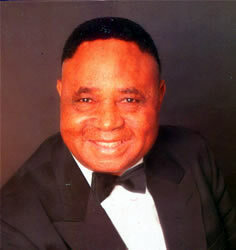 This pictorial biography investigates Chief Gabriel Osawaru Igbinedion from cradle to the present. It is hoped that this book will represent one more chapter in the authentic biographies of great men.